1. Affordable no annual contract or credit check cell phone plan: When you switch to Walmart's Family Mobile PLUS Plan unlimited plan, you get a T-mobile family plan with no annual contract and no credit check. These plans are free from restrictions like forcing customers to sign up for auto-pay or jump through other ridiculous hoops. 2. Unlimited Talk and Text: No more worries about overages! With Walmart Family Plus Plan PLUS you can talk and text all you want. If you have teens this is a must. The text addiction in teens is real ya'll so you better have them on unlimited plans. 3. Larger data bucket of 10GB of 4G LTE data helps you stay entertained: We are a heavy social media users so the beauty of this plan is that we can Snapchat, Instagram, Spotify, check our twitter and Facebook and watch all of our favorite YouTube videos wherever and whenever we need to. Now the best part of this plan is that it has a Data Saver that helps data last up to three times longer compared to normal video streaming. It's similar to T-Mobile's Data Maximizer or Binge On service that helps each user save as much as they can. The Data Saver feature may be switched off at any time if the users wants to watch a video at a higher quality. 4. It's the only mobile plan that offers a new release rental from VUDU movie: VUDU by Walmart lets you to rent or own the hottest new releases and watch them on any compatible device - TVs, tablets, smartphones and more! If you are on the $49.88 Unlimited Talk, Text and Unlimited Data w/10 GB of 4G LTE Plus VUDU rate plan, you can receive a monthly coupon code for a free movie rental up to $7.00! Once you receive the coupon code from Family Mobile via text message, simply create an account on vudu to redeem your coupon code. For mother's day we watched the 5th Wave! I have been wanting to see it for the longest time and thanks to Walmart I got to see it for free. I love movie nights with the kids. We are so busy during the week that we barely have time to do things together. Sundays is the perfect day to sit back and relax and watch a movie at home. I like to close all the blinds and make the room dark and cozy. I can't enjoy movies at home if the living room is too bright. The kids grabbed their favorite snacks, and snuggled with me on the couch. True story, the movie was so intense that I couldn't help but eat all the salted caramel chocolate gelato that was on my fridge. I didn't share it with anyone, but no one dared to complain because it was mother's day. Oh the joys of been the Queen Mother! I use our ROKU to stream our movie but if you have Chromecast it will work perfectly. Walmart Family Mobile helps me relax and unwind with the people I love the most, my family! 5. Affordable mobile devices and starter kits: Now Walmart Family Mobile helps you save even more money when it comes to setting up your service. For the first time ever the starter kit will be on rollback for $19.88 (from $25). The offer lasts until July 7th. Disclaimer: All prices for phones and plans included in this post are accurate as of the date of posting; however, these prices are subject to change. Please refer to http://cbi.as/3edbsor your local Walmart for current pricing. Which one I chose? 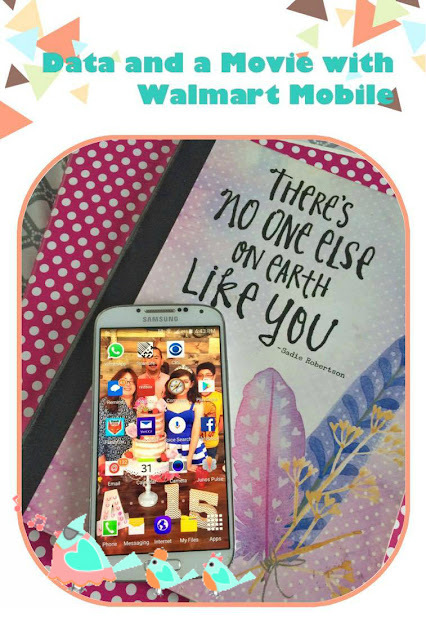 The Walmart Family Mobile Samsung Galaxy Core Prime Smartphone!! It has a 4.5" display for enhanced viewing. With a 768 x 480 resolution, it delivers quality gaming, videos and pictures. The rear-facing 5 megapixel and front-facing 2 megapixel camera lets you capture those precious memories. It has Bluetooth compatibility for hands free use. The internal memory of the Android Lollipop smartphone is 8GB to allow storage of apps, games and more. A headphone jack and USB input gives you added versatility. The 1.2GHz quad-core processor lets you surf the web, visit social media sites and download your favorite applications. Adaptive fast charging ensures it is ready for use when you are. It has a talk time of up to 14.8 hours and a standby time of up to 342 hours to keep you connected. It also has an ultra-power-saving mode, adaptive fast charging, talk time up to 14.8 hours, and a standby up to 342 hours. 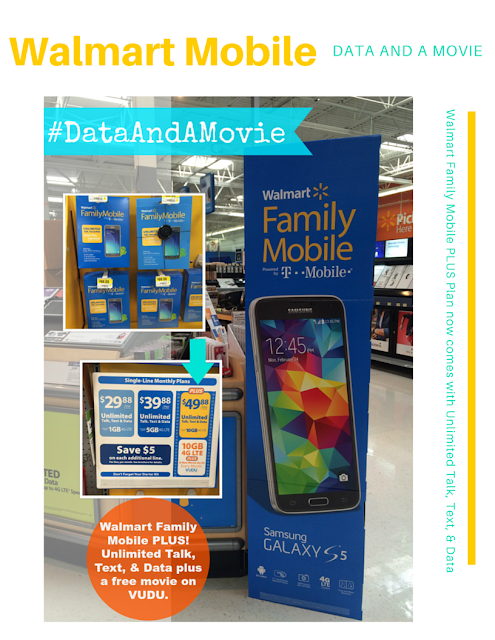 Want more info on Walmart Family Mobile? Visit their website and follow Walmart mobile on Twitter!